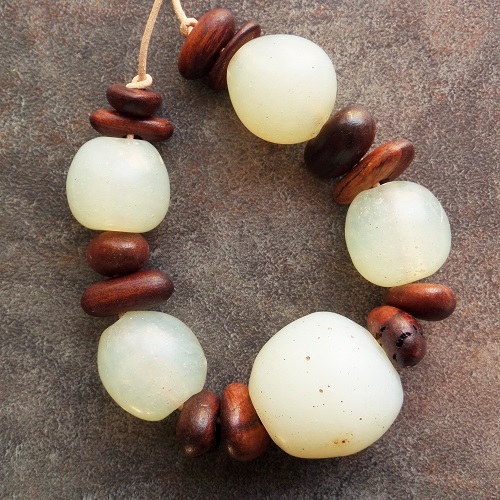 Found a box containing some alabaster glass moon beads, so strung them up with some Australian "Null Arbor" beads just because, well why not? 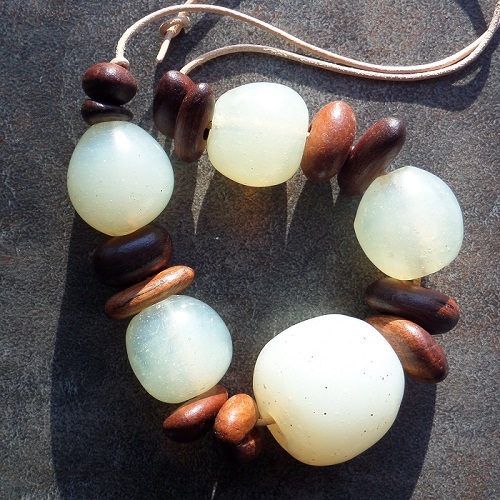 I like the effect, and am debating converting the idea into a short necklace, as the Null Arbor beads are lightweight and comfortable to wear, counteracting the heavy moon beads. What do you think? Go for it or no?